evitalizing Leg & Arm Tonic invigorates and tones the skin. 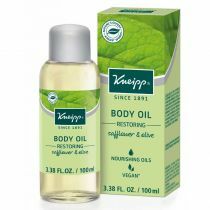 This botanical blend warms and stimulates skin on cold mornings, or in preparation for exercise. After a long day of sitting or standing, it refreshes for continued activity. As part of your Dr. Hauschka Body Care routine, regular use of Revitalizing Leg & Arm Tonic may help to reduce the appearance of varicose veins and cellulite as part of a healthy lifestyle, including proper nutrition and regular massage. Great for travel. Formulation: Rosemary essential oil stimulates and warms as borage tones and invigorates.